Exclusive Premiere: Stream The Everafter’s ‘Whatever’s Bringing You Down’ EP in Full – Ouch That Hertz! I won’t sugar coat it- these midwinter months can get get exceptionally gloomy. Between the constant wishy washy weather patterns of heavy snow or dreary rain, coupled with a seemingly boundless sky of drab gray, and an inability to enjoy most outdoor activities, most people find themselves at a new personal low point. The concept of winter’s coziness has long since died down, its placement fulfilled by cabin fever and a desire for nicer weather that is just out of reach. No matter whatever is bringing you down, Long Island, NY pop-punkers The Everafter is offering a quick remedy to your melancholy. Bright, poppy, and with a driving edge, The Everafter’s brand new EP Whatever’s Bringing You Down offers up savory selections of an incipient summer. Palatable and undeniably catchy, Whatever’s Bringing You Down is yet another example of sensible melodies and honeyed harmonics executed well. Today, we have the pleasure of presenting to your eyes and ears the exclusive premiere of The Everafter’s Whatever’s Bringing You Down in its entirety. The Everafter first began as a college experiment between vocalist Cora Small, guitarist Rich Rivera, bassist Ryan Lare, and drummer Danny Nugent. The four members found instant musical compatibility and personal chemistry. After 10 assiduous months of writing and collaboration, The Everafter burst forth onto the scene in the form of their debut single “Call It A Night,” which features a combination of high-energy verses and heartfelt choruses that are sure to hook the ear of any listener. Determination has helped propel the band’s momentum, which has thus far culminated in a screaming throng of 150 people at a recent hometown show in Amityville, NY and a quick week-long stint of a tour in March, with a secondary April tour planned right on the heels of their March departure. With all of these milestone accomplishments reached within one year, the future appears to be a happy one for The Everafter. 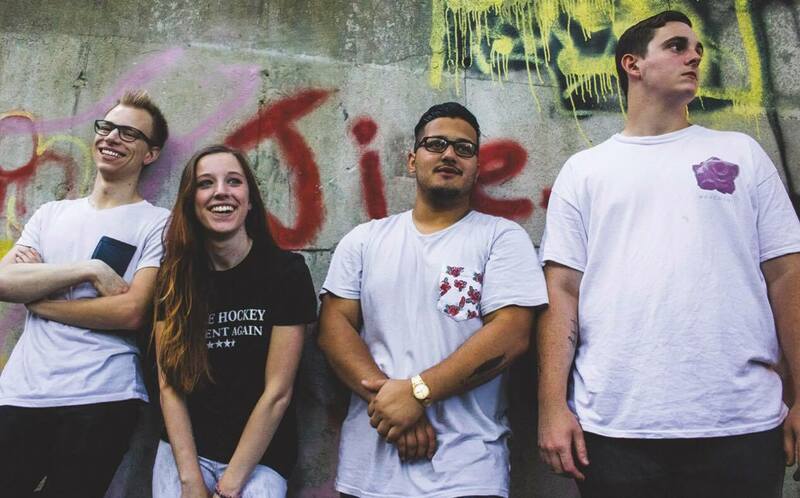 The Everafter is a Long Island, NY-based pop-punk quartet comprised of Vocalist Cora Small, guitarist Rich Rivera, bassist Ryan Lare, and drummer Danny Nugent.